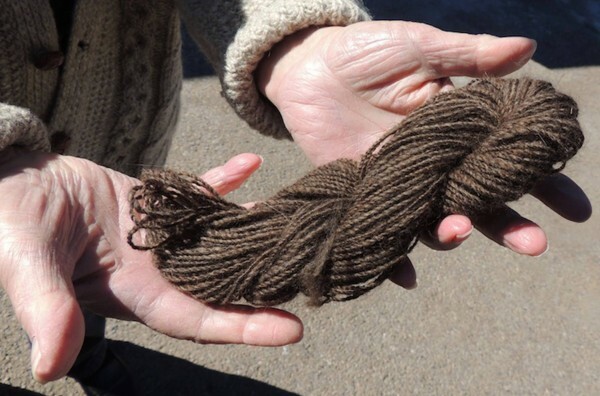 Chiengora – the art of spinning dog hair to make warm clothing items – has been around for thousands of years, and is still used today by people in extremely cold climates near the Arctic Circle. 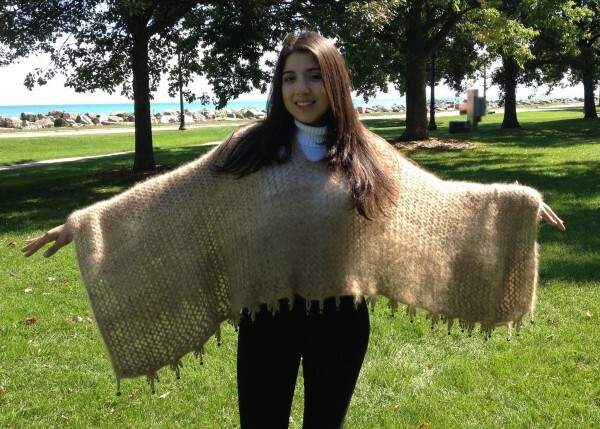 Now one Chicago-area woman wants to make Chiengora clothing available to dog lovers looking for a way to always stay close to their beloved pet. 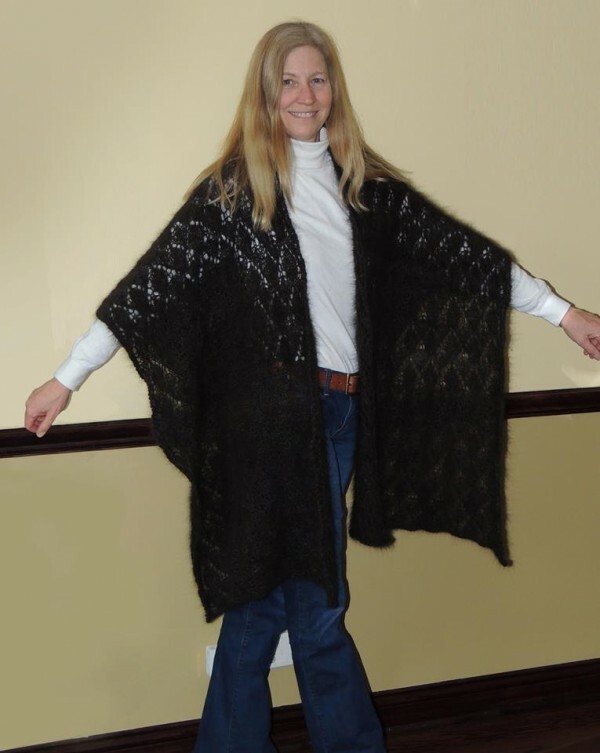 Jeannie Sanke, from Evanston, Illinois, started practicing Chiengora – “Chien” is French for dog and “Gora” is derived from angora – two years ago, and has since created all kinds of custom pieces from dog hair, including sweaters, ponchos, mittens and fluffy cup holders. 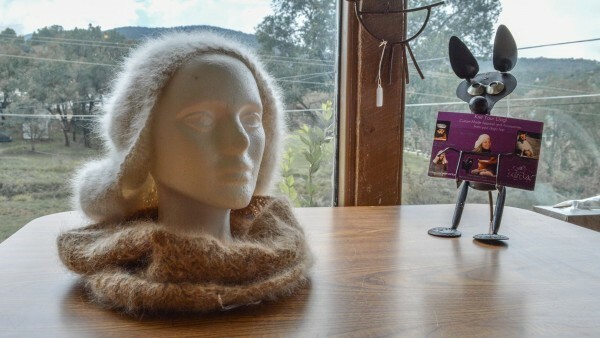 She sells her creations on the Etsy online store, and regularly posts photos of her newest items on her Facebook page, Knit Your Dog. Most of her clients are dog lovers who want to feel their pet’s fur on their skin as often as possible, and especially owners who have lost their loyal friend and want something special to remember them by. Sanke says that unlike the hair of sheep, goat, or alpacas, dog hair should never be cut, but brushed off, as clipped dog fur cannot be spun into a thread. She also informs potential clients that hairs from dogs’ shiny outercoat – their waterproof guard – cannot be used either, and since the undercoat hair is often a different color, the resulting item may not be the same shade as their pet. 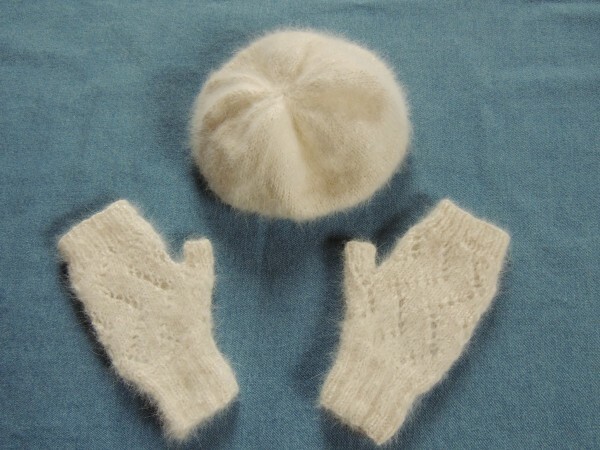 Long-haired, rough-coated breeds like Golden Retriever, Chow Chow or Pekingese have perfect “wool” for Chiengora, but she can also work with shorter hair, by combining it with longer fibers like sheep or alpaca wool. After receiving the dog hair from her clients, Jeannie puts it through a complex process to make it ready for knitting, and more importantly, get rid of the smell. She starts off by washing it, before moving on to carding, a technique that untangles hairs and aligns them so they can be spun properly. She then spins the fur and washes it again to set the twist before knitting it. Finally, she washes it again, to ensure that the dog smell leaves the fibers completely. Dog fur clothing is apparently very comfortable and 50 percent warmer than that made from sheep wool. But for most people, the most important thing is being able to feel close to their beloved pets all the time.